The new African edition of this highly successful textbook builds on the strengths of the recently revised Myles Textbook of Midwives 14th Edition. It gives the most up-to-date perspectives and research on a complete range of the theoretical, practical and background knowledge with which the modern South African midwife has to be familiar. In addition, it offers clear guidance on how to critically appraise available research – essential for modern safe practice and career development. 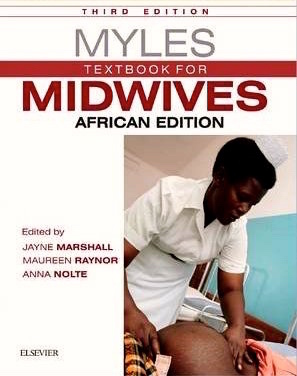 Adapted by a key local authority, Myles Textbook for Midwives: African Edition now includes regional demographic data, an exploration of the history of SA in relation to midwifery, the role and function of the midwife in Africa, regional legislation, as well as a discussion of the scope, local practice and ethical considerations regarding midwifery practice. Local research and references are also included and the adaptation of pharmacology sections to the local market. Other changes include an important and detailed discussion of HIV/AIDS, the perinatal services in the region and a discussion of culture-specific issues that are relevant to the outcome of pregnancy and labour. Local research and references are also included and the adaptation of pharmacology sections to the local market.